Rangitikei River and plains above 100m cliffs south of Mangaweka. North Island main trunk railway and Soldiers Road, looking south. 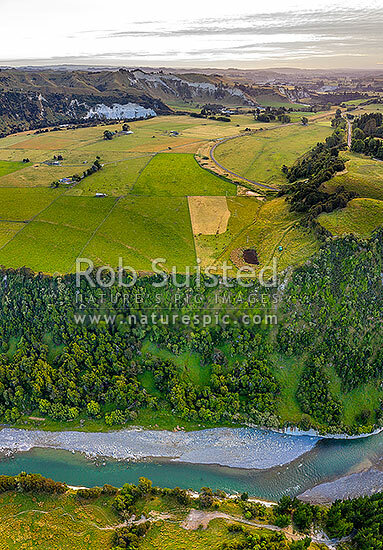 Aerial view, Mangaweka, Manawatu District, Manawatu-Wanganui Region, New Zealand (NZ), stock photo.